My hubby & I just had instant noodles feast for dinner. 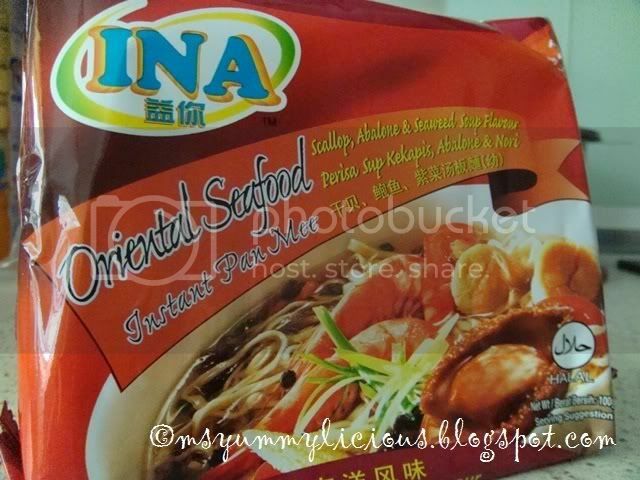 Unlike the experience we had with INA Instant Noodle - Oriental Seafood yesterday; thank goodness, today was way better. A lot way better! And i have to say these are among the top list in our instant noodles category. My hubby had the XO Sauce Seafood Flavour while i had the Roasted Beef Flavour. We added some crab sticks and sausages for extra bites. Both our picks were yummy~licious! Noodles were springy and the soups were flavourful. This time, we are so proud of our buys! For those who do not know, XO Sauce is made of roughly chopped dried scallops, dried fish, and shrimp and cooked with chili peppers, onions, garlic, and oil. It was once a prestigious concoction used in chinese cuisine, but now you can find it in supermarkets as premade sauce. 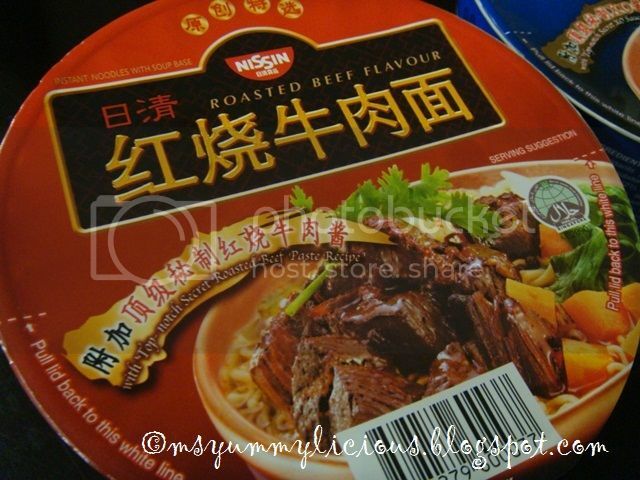 A flavourful bowl of noodle beef soup with a hint of spiciness. Next time you do your groceries, remember to pick some of these home. You'll love them! Instant noodles are great when it comes to late night supper. It's also quick fixes to the growling tummies when we are at our 'Lounging Around Moments'! That's why we will always make sure that we will not run out of stocks in this category. While my hubby and i were doing our groceries recently, we saw this new product - INA instant noodles on shelves. They looked quite appetizing but the price is abit on the high side. A packet of 5 cost you approx. RM15 RM11. If on normal occasion, we would not buy it. But that day, we were in our 'Support Local Products' mood, so we bought a packet home. There are 5 individual packets in assorted flavors; Oriental Seafood Pan Mee, Original Pan Mee, Sambal Udang Pan Mee Goreng, Yee Mee and Tomyam Ramen. We tried the Oriental Seafood Pan Mee. Cooking time was abit longer than my usual 4 mins. It took me almost doubled the time to ensure that the pan mee noodles are cooked thoroughly. Taste was bland. Noodles were unevenly cooked because some strands were too thick. We were filled with remorse after tasting the noodles. 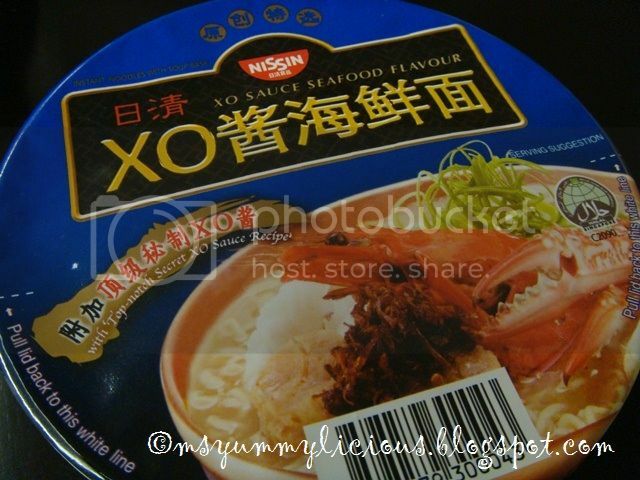 Should have bought 4 cups of Nissin Seafood Noodles instead! In conjunction with the coming of Yummy~licious 1st Month Blogoversary on 5th July, I am hosting my very first contest to give away this beauti~licious set of pink bunny dishware as an appreciation to my yummy friends. Thank you all for keeping me company with your comments and small chats! Me love You! Subscribe to Yummy~licious via RSS Feed. 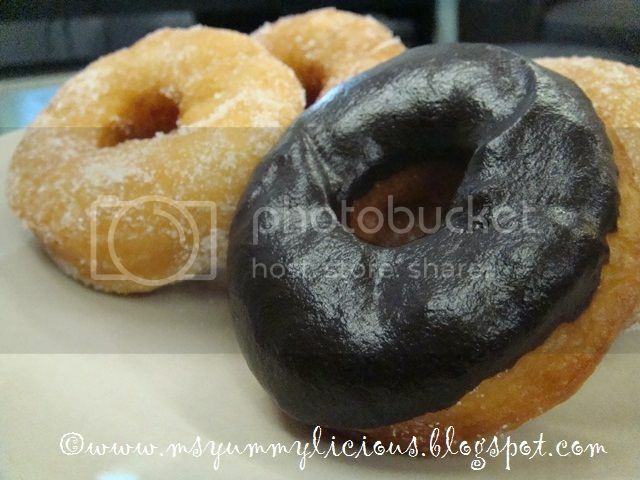 Become a fan of Yummy~licious Facebook Page. Subscribe to Yummy~licious via email. 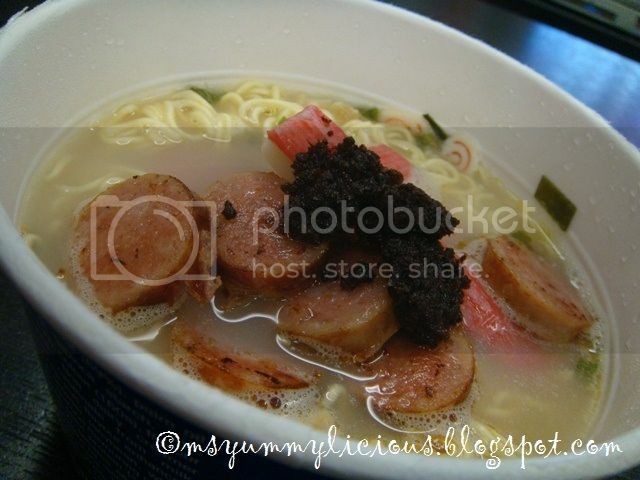 Follow Yummy~licious with Google Friend Connect (please use the button at my sidear - 'yummy~licious fans'). 'Like' this post on facebook (please use the button above or beneath this post). Tweet this post with the ending message "I've entered YL Giveaway!" (please use the button at the top right corner of this post). 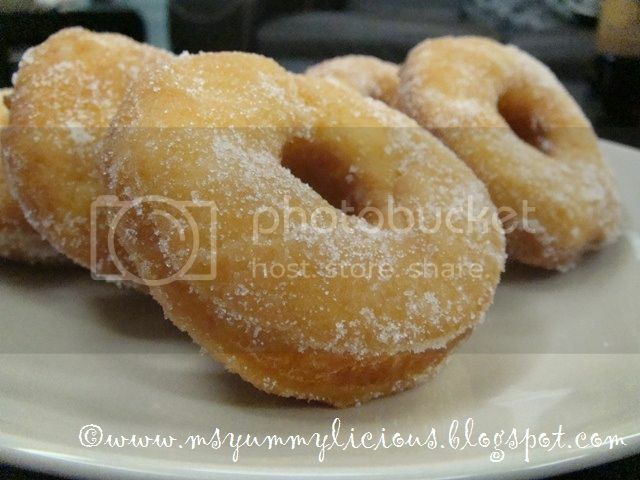 "RT @jeanchia Yummy~licious 1st Month Blog Giveaway http://bit.ly/kZWQ1X I've entered YL Giveaway." Blog about Yummy~licious 1st Month Blogoversary Giveaway at your blog, linking back to this post (and with the badge below if you like). ~ This option will qualified you to 3 entries. 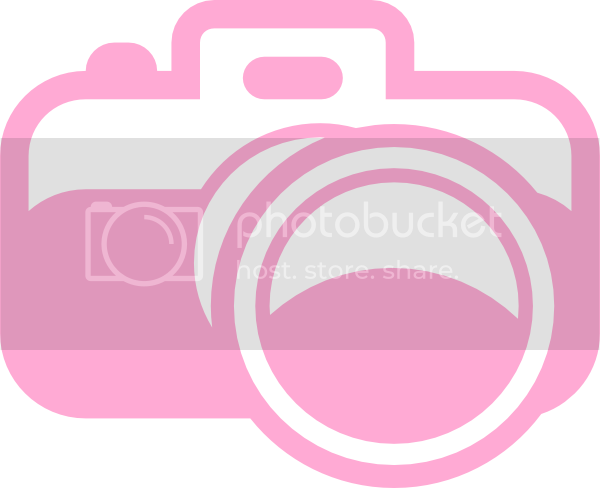 Add 'Yummy~licious 1st Month Blogoversary' badge at your blog. ~ This option will qualified you to 2 entries. Contest runs from 28th June - 31st July 2011 (12 midnight Malaysia time). Leave a comment in this post with the option/s you've selected. Only ONE (1) lucky yummy winner will be selected. The winner will be randomly selected (from random.org) and announced online. Allow 1-2 weeks for delivery upon results drawing. So, what are you guys waiting for? 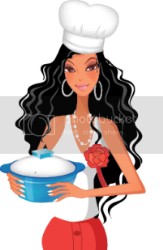 Come and join the fun in Yummy~licious 1st Month Blogoversary Giveaway! Good luck! Your Karaoke Theme Song is "Since U Been Gone"
Initially, I thought of posting a food post today but something else had caught my attention, something that needed our support asap. An online hotel booking site, Hotelwithheart.com (HWH) organized a digital signature campaign which aims to help provide basic education to underprivileged children. In this campaign, HWH has teamed up with Dynamic Teen Company (DTC) to give pencils for underprivileged children that are being taught by DTC. HWH is an online hotel booking site with a cause. With every completed transaction, they will make a donation to a partner charity of your choice without cost to you. While DTC is a group of concerned young peoples with a mission to help children in slum areas who has no access to education and basic hygiene. It was founded in August 1997 by four teenagers from Cavite National High School. The campaign runs from 1st to 30th June 2011 and their target is to collect 10,000 signatures. For every signature they collect, HWH will donate a pencil to the underprivileged children. All we need to do is, 'Like' their facebook fan page and sign up. My hubby and I have done our part and they still needs 8,844 more signatures. Now is your turn! My hubby always had his in Extra Hot Peri Peri and grilled vege is a must. Btw, do check out their website coz it's super~licious cute! I've been wanting to make donuts since the first time i tried J Co donuts but my laziness has pulled me back. Everytime, i gave a very lame excuse to myself, that is "I don't have a cutter." But yesterday, the time has come for me to grant my long-waited wish, because i just bought a 3" doughnut cutter. 1. Mix Dough 1 until smooth. Cover and rest for 90 mins. 2. In a separate mixing bowl, mix Dough 2 until smooth. Knead Dough 2 with Dough 1 until well combined, approx 10 mins. Cover and rest for 15 mins. 3. Roll out dough to about 1cm thick with a roller pin. Cover and rest for another 10 mins. 4. 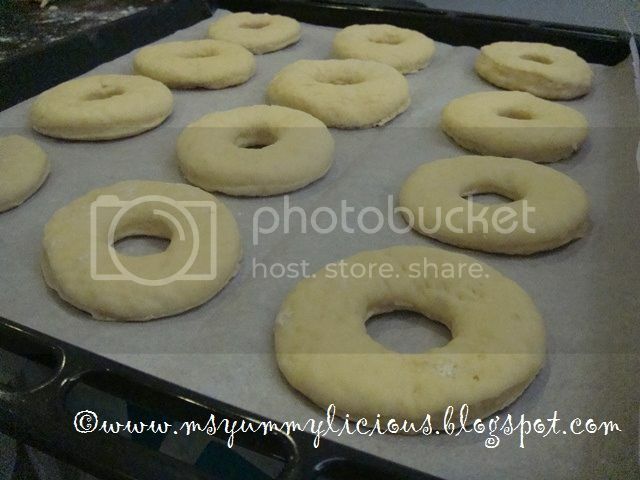 Cut dough with doughnut cutter. Move donuts to a tray with baking sheet. Rest for 10 mins before deep fry them under low heat till golden brown. 5. Coat with castor sugar or decorate as desired.